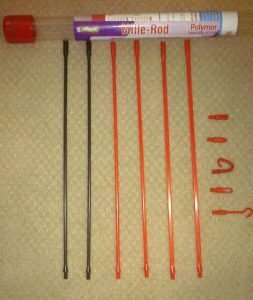 Product review of the Mille-Rod Polymer push-pull fishing tool. A while back I was approached by the people at Millepede to review a product that they have developed. 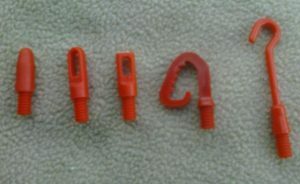 The product is a Mille-Rod Fishing Tool. It is an economical, high performance polymer push-pull rod and attachment system, made from polypropylene and glass reinforced nylon. It’s a tool that has a variety of applications in many fields, and I will show one example of where these tools can be extremely useful. The rods come in 14” lengths that thread together to make up the length you need for your particular fishing project. The threads are standard ¼” x 20 NC. When fit together they form a smooth connection that will not snag or catch on any obstructions, and this provides a strong inter-connection. 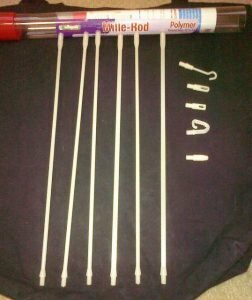 The rods are available in solid colors as well as a phosphorescent glow material. 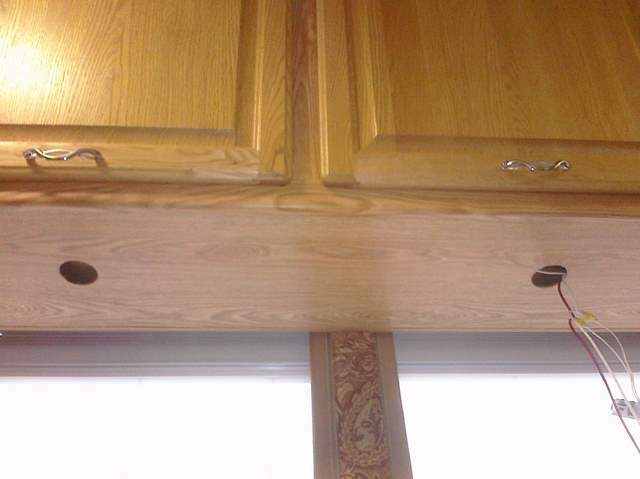 The rods come in varying degrees of flexibility to match your project needs. The round black rods are designed to cover open spaces with little flex (5 degrees), mid-flex round rods for bending around corners (180 degrees), and a flat rod that can twist and flex around any space or corner (360 degrees). 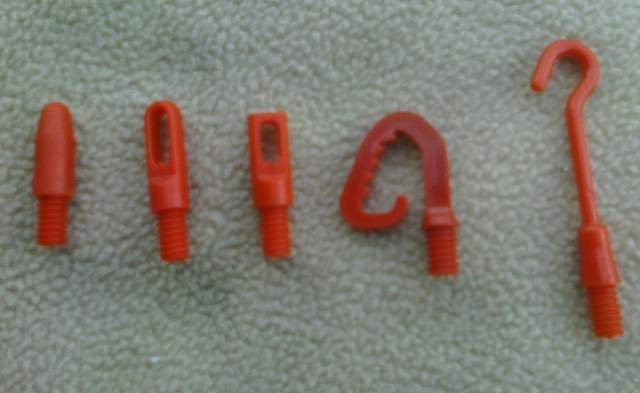 They are strong and flexible, non-conductive, non-corrosive, and come with and extensive range of attachments including a hook, flat eye, round eye, bullet, and more depending on the set purchased. 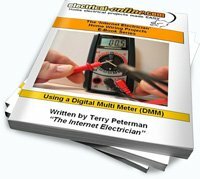 While the uses for such a tool are numerous, I am going to show a practical use in the electrical world as I fish in low voltage wiring for some halogen puck lights. These puck lights are about 2-1/2 feet apart, and will be mounted under some overhead cabinets. 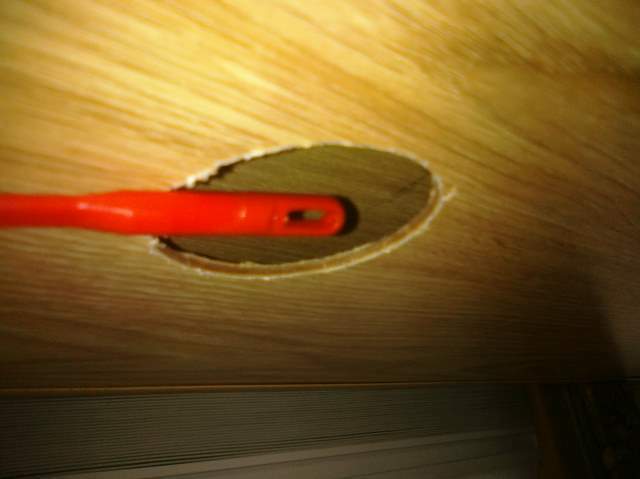 I was able to fish the rods through 2 existing holes in the wood cross-members that were drilled in construction for other wiring. The combination of a stiff round rod, a round mid-flex rod, and a flat flexible rod gave me the perfect tool for the job. 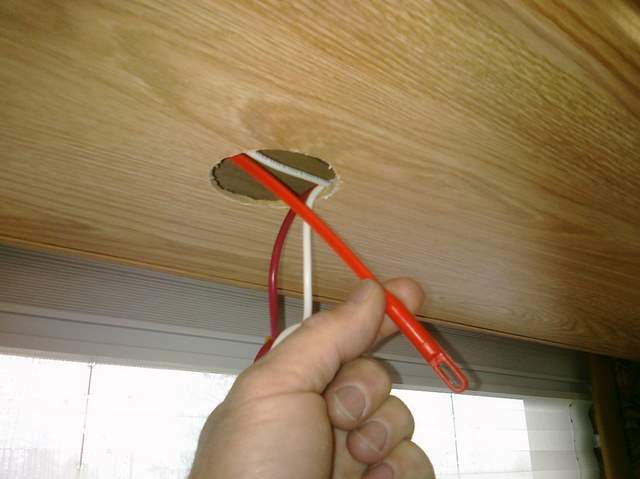 Once the rod was fished in place I was able to connect the wires directly to the flat eye attachment using some wire and electrical tape making sure I didn’t create too large of a bundle to pull back through the existing holes inside the ceiling opening. On a longer pull with more bends you would want to use the rod to pull in some strong nylon twine or rope to use for pulling in the wires instead of directly pulling on the rods themselves. 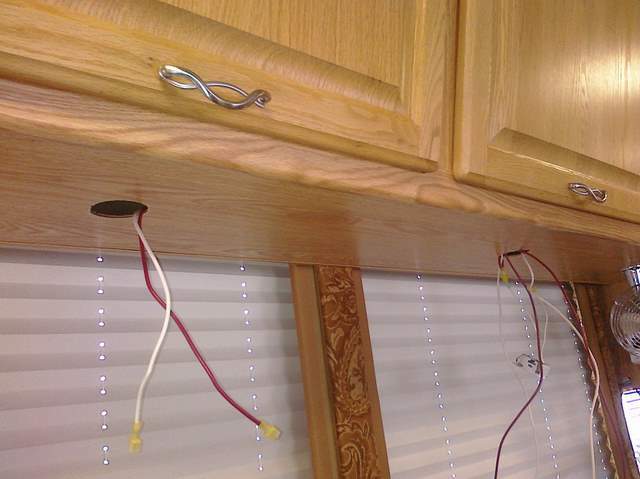 Once the wires are in place you can make the appropriate connections and install the lights. 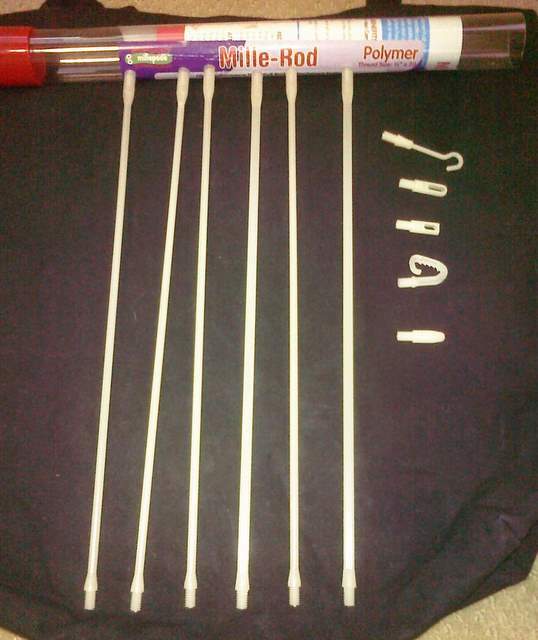 This is just one small example of where these rods by Millipede can come in so very handy. 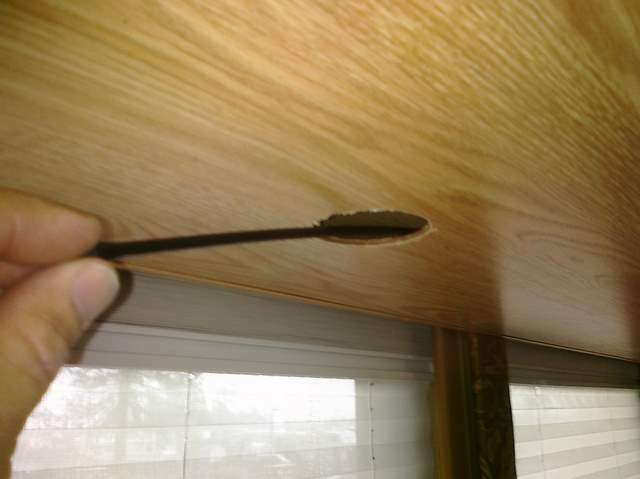 Another use that comes to mind would be for fishing in wiring above drop ceiling tiles, or through tight attic spaces. This is where I would use the glow rods. I know I’ll keep them handy in my tool box as the uses are endless. 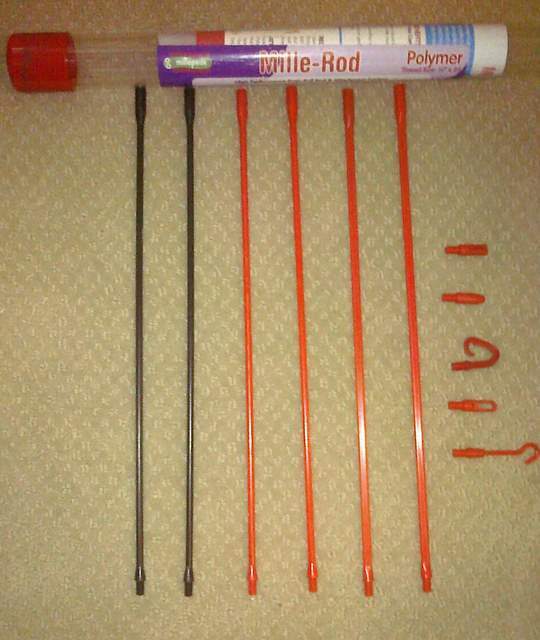 All in all a great, well thought out, useful product that I would recommend to anyone for jobs around the house, car, boat, R.V., or anywhere a push-pull fish rod is needed! 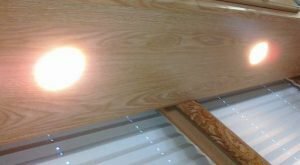 This entry was posted in Hand & Power Tools, Tools, Tools-Videos and tagged fish tape, fishing tool, halogen puck light, puck light, wires, wiring lights, wiring outlets. Bookmark the permalink.